I honestly can't remember the last time I was THIS excited for an upcoming race season! There's been a lot of stuff going on over at IMSA so lets get right into it. One big change this year is the move away from Circuit of the Americas and back to Mid-Ohio. FS2 3 – 6 p.m.
FS1 1 – 2 p.m.
FS2 2 – 4 p.m.
Last edited by Jedi54; 12-20-2017 at 04:00 PM. As a Mazda fan the most exciting part of this new season is having Team Joest taking over the Mazda Motorsports program. This is one of THE winningest / most historic race teams in LeMans history and these guys are in it to win it. 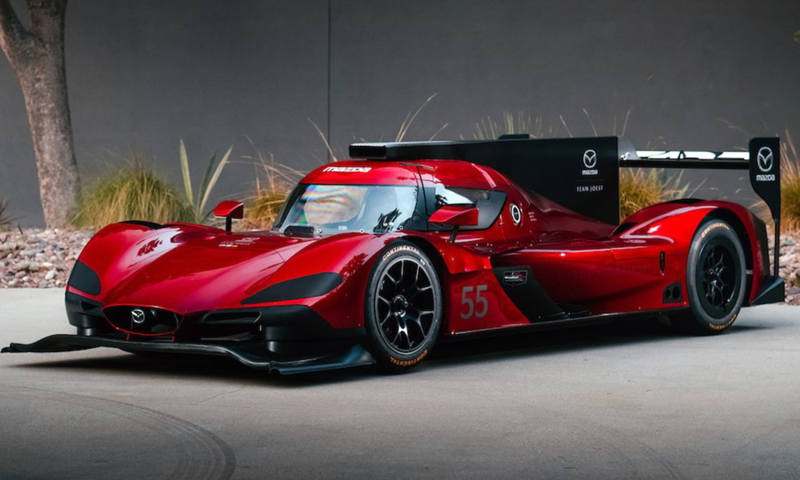 Mazda Team Joest has begun its U.S.-based testing program with a heavily revised Mazda RT24-P this week at Daytona International Speedway, in the ramp up to the program’s debut in January’s IMSA WeatherTech SportsCar Championship season-opener. The two-day test, which kicked off on Tuesday, has seen Tristan Nunez, Jonathan Bomarito, Joel Miller and Spencer Pigot share driving duties of the car, which has undergone significant updates from Multimatic in recent months. 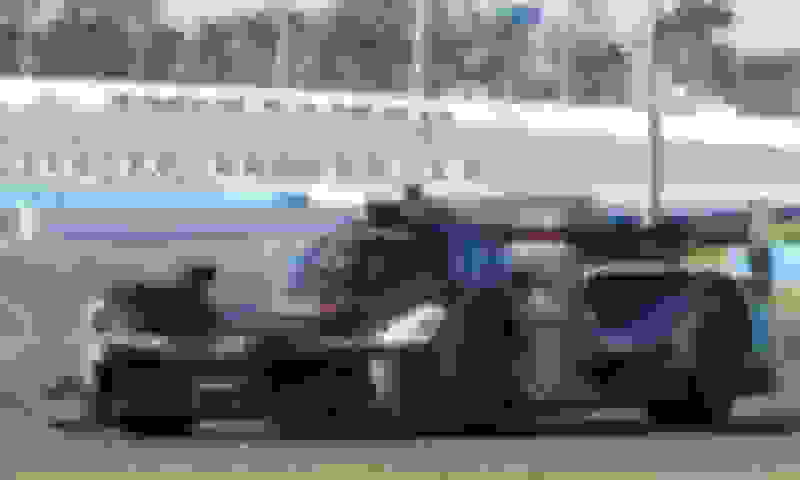 Bomarito, Nunez and Audi ace Rene Rast took part in an initial shakedown of an interim car last month at Hockenheim, followed by a test at Donington Park with Bomarito at the wheel. Tuesday’s track action marked the first mileage of what is expected to be the car’s final configuration, which will be presented to the FIA, ACO and IMSA for LMP2 and DPi homologations. “It feels completely different now. It’s so confidence-inspiring to see the changes made to how it is on track. 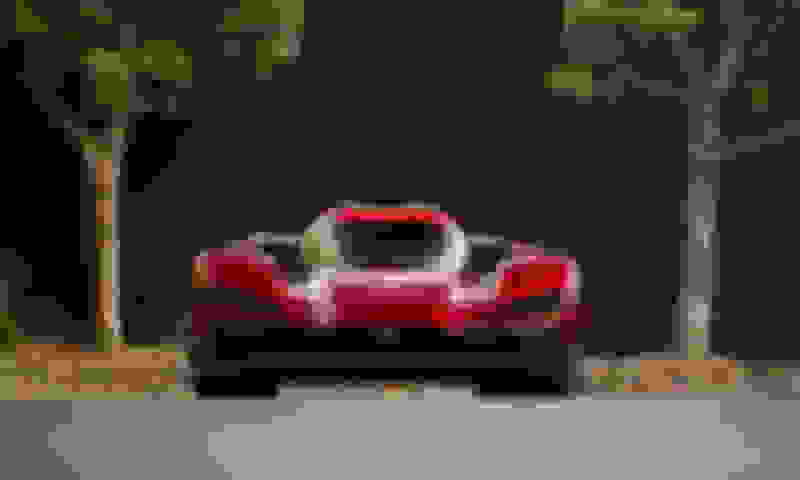 It’s a completely different car,” Nunez told NBC Sports’ Tony DiZinno following the first day of the test. While driver lineups are not expected to be announced until early next month, Nunez and Bomarito, along with the potential of Miller, are all likely to be retained as full-season pilots. Ex-Audi LMP1 ace Oliver Jarvis has been also linked to a full-time seat, with Rast and Pigot expected to be the team’s third drivers for the Tequila Patron North American Endurance Cup races. I had a chance to hang out with Jonathan Bomarito and Tristen Nunez at SevenStock and we spent some time talking about the changes to the car and it's basically a whole new car. They're excited about how it's performed and I get the feeling we could see some much increase in speed out of the car and definitely should be more reliable as Joest has aggressively attacked some of the heat issues that plagued the car last season. This should definitely make the car more competitive. Mazda burned their 1 chance to make major updates to the car after only one season. This is good for the upcoming year but might make it difficult to stay competitive once everyone else responds with changes 2 or 3 years from now. Last edited by Jedi54; 11-25-2017 at 01:49 PM. Speaking of the rest of the field, that's where things get exciting for us. Just look at the team lineups for next season! That's an All Star lineup if I've ever seen one. 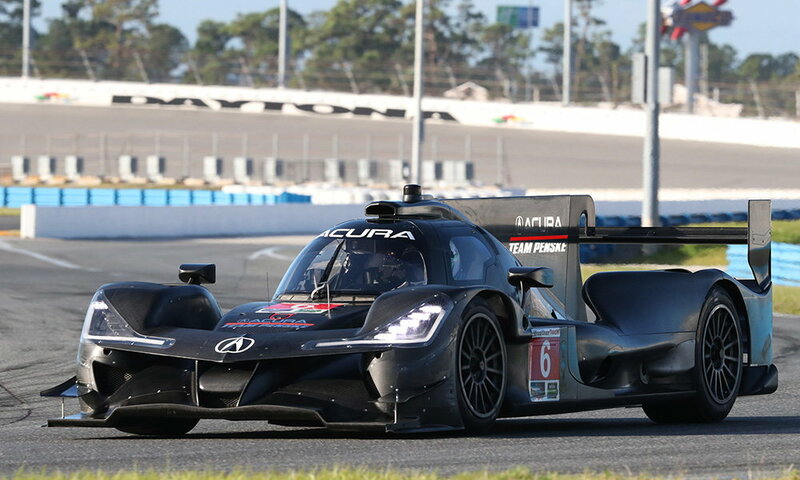 Following Mazda Team Joest’s two-day test, Acura Team Penske has arrived at Daytona International Speedway for the first running of its Acura ARX-05 on the Florida high banks, in preparation for January’s Rolex 24 at Daytona. All four of the team’s full-season drivers were present for the two-day test on Thursday and Friday. It comes ahead of an IMSA test at Daytona on Dec. 5-6 in which all new or modified cars, including the Acura DPi, are required to take part. No major issues have been reported with the car after this week’s running and Juan Pablo Montoya has praised the team’s success so far. “I think the reliability of the car has been unbelievable,” he said. “We have no issues. Acura came out with an engine that just runs. Helio Castroneves explains that part of the test has been in order to help he and Montoya get more accustomed to the car and learn from teammates Ricky Taylor and Dane Cameron who have much more experience in sports cars than the open wheel aces. “Ricky and Dane, they are champions in the series,” Castroneves said. “Actually, they have more experience than me and Juan Pablo as well. “We like having them as a reference to learn details. We’re talking about traction control, we’re talking about power steering, I mean, there’s a lot of things that, in IndyCar, we don’t use. “So now, going through that transition, I’m glad to have those guys to be able to smooth it out. I’m excited. I’ve got the champ in my car, and Juan Pablo also has a champ in his car. Graham Rahal, who will join the team for Daytona and the Mobil 1 Twelve Hours of Sebring, was also present on Friday. IMSA has outlined the criteria for its December test at Daytona International Speedway, which will provide the first glimpse of new and upgraded machinery for the 2018 WeatherTech SportsCar Championship, Continental Tire SportsCar Challenge and Prototype Challenge presented by Mazda series. Cars from all three championships will be in action during the two-day test on Dec. 5-6, with the primary goal of collecting on-track data for Balance of Performance purposes, according to IMSA’s tech chief Geoffrey Carter. “We’ve got a delineated test plan that the IMSA technical committee is finalizing for all the classes,” Carter told Sportscar365. Carter, the Senior Director of Technical Regulations and Compliance, said all new and modified cars, plus at least one model from each GT Le Mans manufacturer, will be required to take part. 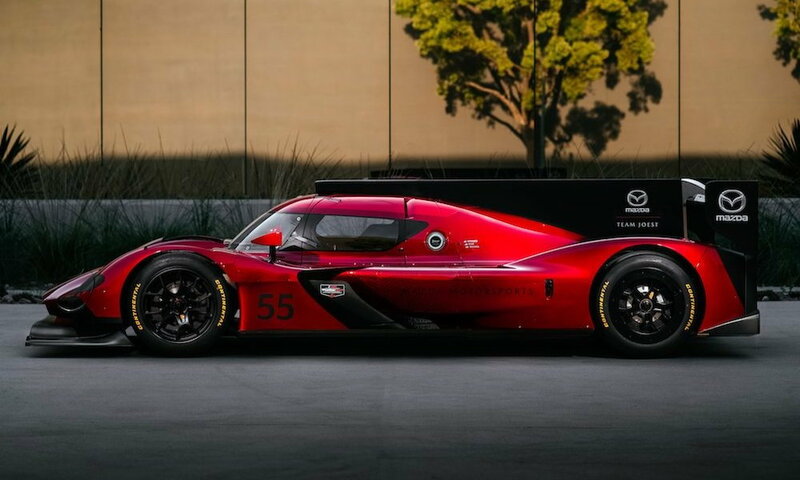 As a result, it will mark the public debuts of the Penske Team Acura ARX-05, the new Mazda Team Joest effort with its revised Mazda RT24-P, new Evos from LMP2 constructors Onroak Automotive, Dallara and Multimatic, plus the new BMW M8 GTE car. I'm curious to see what kind of BoP changes come out of this testing and especially after the Roar. Do they keep nerfing poor Cadillac or have teams begun to narrow the performance gap? A qualifying session will be added to January’s Roar Before the Rolex 24 to determine the pit box and garage space locations for teams in the IMSA WeatherTech SportsCar Championship season-opening Rolex 24 at Daytona. The fastest-qualifying Prototype will receive the first pit box on pit lane starting at pit-in and also will be assigned to the first garage in the Prototype section of the WeatherTech Championship garage. Last edited by Jedi54; 11-25-2017 at 01:57 PM. All Prototype cars will restart ahead of GT Le Mans and GT Daytona class entries, as one of several changes made to the sporting regulations for the IMSA WeatherTech SportsCar Championship next year. IMSA has created the ‘Prototype Class Split’ for 2018, which will see GTLM and GTD cars pull to the left side following the final wave-by to let the entire P class field restart ahead of the production-based classes after each full-course caution. The procedure, which had been utilized in Grand-Am, comes after multiple incidents or near-misses in recent years as a result of a class leader, oftentimes in a slower category, taking the field back to green and causing a bottle neck-like effect. I like this change! Let the big boys get back out front and duke it out on restarts instead of getting stuck behind slower classes and giving the guys out front an additional advantage. IMSA, meanwhile, will prohibit any form of modifications or touching of the cars while during qualifying, once the car leaves its pit box for its run. Drivers must remain in their cars until they arrive in impound post-qualifying, unless in the case of each pole-sitter, who may be directed by an official to exit the car for interviews and to participate in the Motul Pole Award photo. Additionally, teams will no longer be required to start on their qualifying tires, and any GTLM car sent to the rear of the field will now line up at the back of its class, and not behind the entire GT grid. Alright, I think that's all I've got for now. You guys ready for the new season? Anyone attending races? Swoope? RX-Tuner: you guys going to Daytona again? I really need to get out and see the teams run at Long Beach this year and maybe, just maybe I can swing a trip up to Mazda Raceway as well. Any predictions on how Penske or Mazda will do? Can Cadillac retain the title again? or is there a dark horse in there somewhere that'll just dominate the field. 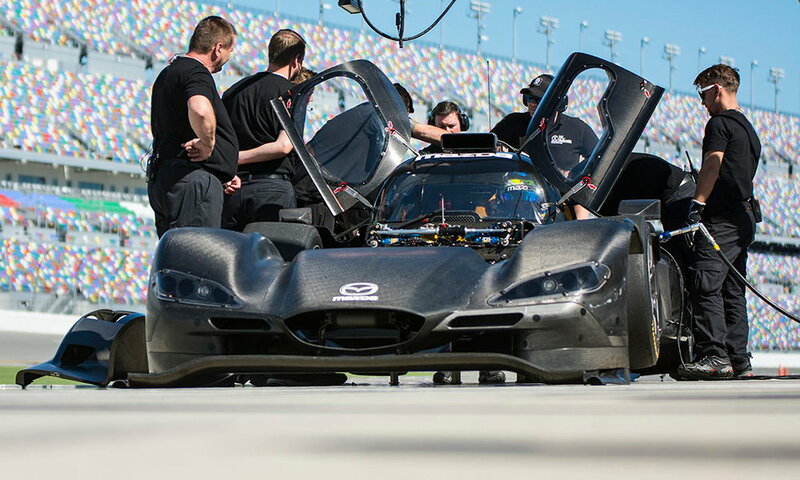 Mazda Team Joest has kept the angry little four-cylinder turbos alight during an intensive testing regimen in Florida with its RT24-P DPis. The Multimatic-based IMSA WeatherTech SportsCar Championship prototypes have sprinted back and forth between Daytona International Speedway and Sebring International Raceway in recent weeks, often leaving one facility as its rivals at Acura Team Penske are loading in or packing up. Although no official lap times have been posted, rumors of speeds at or below the pole positions set at both circuits in 2017 would suggest the program is making the kind of strides it sought after splitting with its former partners at SpeedSource and taking the remainder of the year off to redevelop the RT24-P platform. "Mr. Joest and I had a chance to be together a few weeks ago in Germany and from what we've seen in testing, with the entire effort Multimatic has put forth with aero, suspension, and cooling optimization updates to the RT24-Ps, we're pleased with all of the work and processes we've seen," Mazda motorsports director John Doonan told RACER. "We've had drivers giving direct back-to-back comparison of what we had before to what we have now, the car has been completely transformed. We're encouraged we'll be able to fight at the front and vie for wins and championships. This is exactly what we've been planning to do." Addressing the RT24-P's speed deficits is only part of the overhaul being conducted by Mazda's partners. 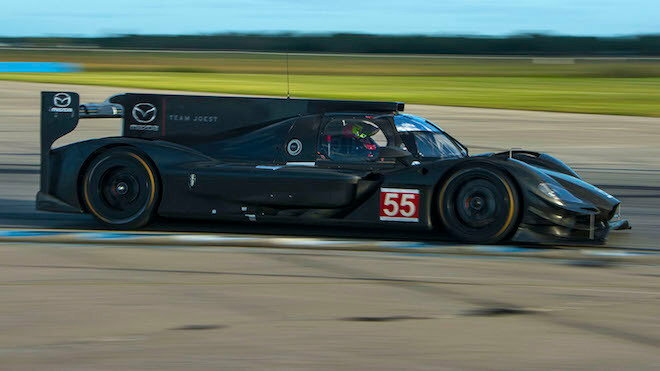 The search for greater reliability through on-track testing and off-track durability runs has also been part of the Mazda Team Joest reboot. "We met first with Multimatic about what was needed, and there were some areas that had options for improvement, and one was improving the overall environment the RT24-P's engines live in," Doonan explained. "They did a massive amount of studies and had a lot of input from AER on improving the climate for the engine, and that will help, and AER has done long runs on the dyno to complete Daytona, complete Sebring, and give us the best chance of finishing where we want to be." The revamped RT24-P program, with the Nos. 55 and 70 entries, will have its driver roster confirmed and other key aspects of the Joest-led effort revealed between the holidays. "We take what we do in motorsports to tell our story to the broadest audience possible," Doonan said. "And we'll be making an announcement that won't be ready for the Thanksgiving table, but will be here before Santa arrives." Last year, the RT24-P project was launched at the Los Angeles Auto Show. Last edited by Jedi54; 11-25-2017 at 02:26 PM. Super job posting these, thanks Jedi54 !!! figured it could help get everyone caught up and maybe even introduce a few new people to the Series. That's why you are the Jedi Master. I look forward to Mazda back in the winner's circle . Mazda Team Joest has revealed a revised full-time line-up for its IMSA WeatherTech SportsCar Championship assault next year, while Spencer Pigot and Rene Rast will join for the four endurance events. Jonathan Bomarito and Tristan Nunez have been retained for what will be their fourth and fifth seasons respectively with Mazda, but Joel Miller and Tom Long have lost their rides to Oliver Jarvis and Harry Tincknell. Jarvis won the LMP2 class at this year’s Le Mans 24 Hours, on his way to second in class in the FIA World Endurance Championship, driving for Jackie Chan DC Racing. His history with Joest Racing includes overall victory with Audi in the 2013 Sebring 12 Hours. Tincknell, who this year finished third in the WEC’s GTE Pro class with Ford Chip Ganassi Racing, is another driver who has won the LMP2 class at Le Mans and has been champion in LMP2 in the European Le Mans Series. You beat me to it Charlie, I was about to post that. Bummed to see Long and Miller go, both good drivers and great guys (spent some time in the garages at SS hanging out with them) but Mazda and Joest are going with the best drivers available to them right now and this makes sense. Met Bomarito at NJ Motorsport park (just 30 minutes from my NJ house) when Mazda was still racing the Speedsource tube-frame, three rotor RX8s a few years back. Sad about the replaced drivers, but yes these Joest jockeys will be great additions to the team. Last edited by gwilliams6; 12-02-2017 at 03:09 PM. 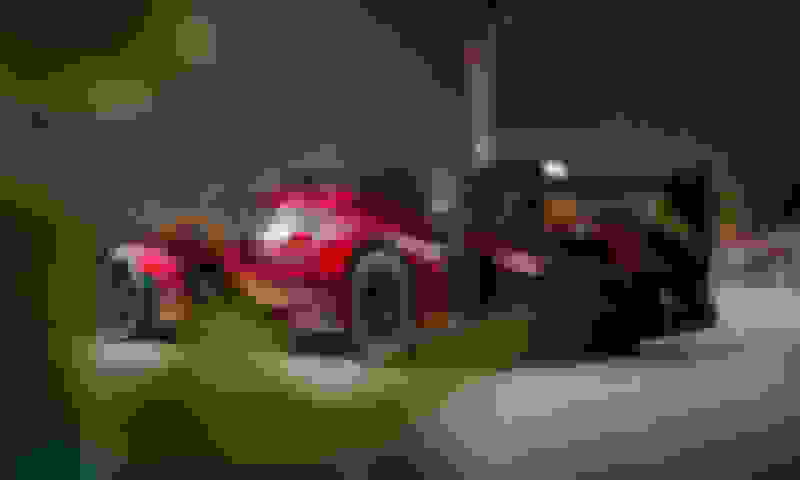 Mazda unveils new 2018 livery. this thing looks stunning in the new Soul Red Crystal. Last edited by gwilliams6; 12-07-2017 at 01:42 PM. ***IMSA’s two-day test wrapped up on Wednesday afternoon, with a handful of Prototype teams laying down quick laps in the closing moments. The No. 77 Mazda RT24-P was clocked running laps in the mid 1:38s, with the No. 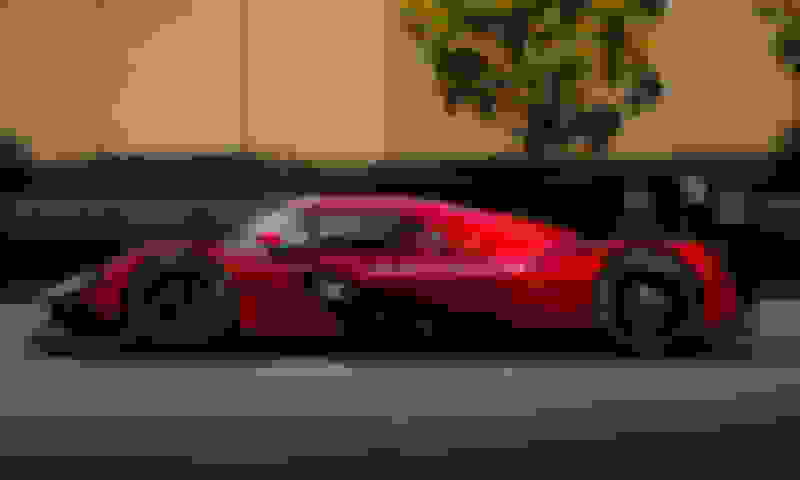 6 Penske Acura ARX-05 of Ricky Taylor in the high 1:39s to low 1:40s and Pipo Derani pedaling Onroak’s Ligier JS P217 Gibson in the low-to-mid 1:39s. dang! Mazda showing some speed but it could also be that other teams are holding back a bit so as to not show all their cards before Daytona. Either way, it's at least encouraging. ***The engine from the Wayne Taylor Racing Cadillac DPi-V.R was impounded by IMSA following the morning session, forcing the team to pack up early. It’s understood the engine will be sent to NASCAR’s R&D center in Concord N.C. for further evaluation, with rumors of potentially another engine from the test also having been taken. Yes IMSA will do its performance resets after all testing is done to try to equalize the competition . 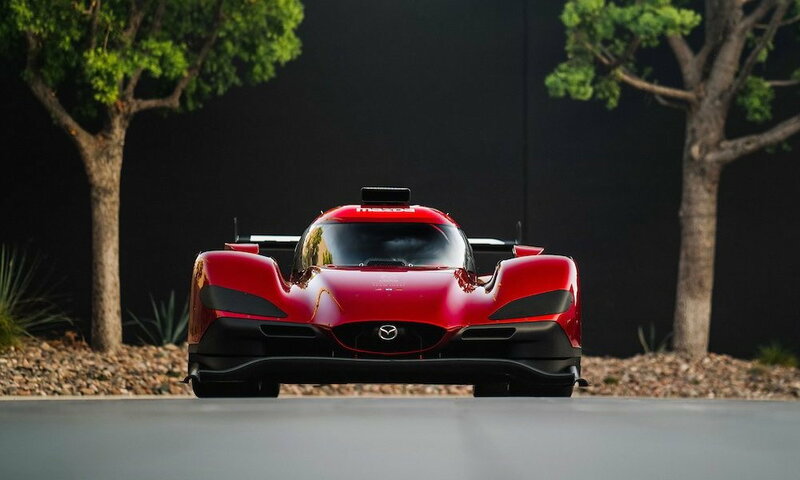 We just have to wait and see if they will really allow Mazda to be fastest. They let GM's Cadillac dominate, but maybe they will let another smaller automaker have the hot cars this year. Throughout IMSA's history Mazda has had to overcome weight and performance penalties levied by IMSA anytime they seemed to be dominate. Last edited by gwilliams6; 12-09-2017 at 11:28 PM. Fox Sports TV broadcast schedule was released and I've added it to the 1st post. Just a little over a month to go before we drop the green flag! Jedi, thanks for posting all of this info, much appreciated. This series promises to be very interesting with the shuffling of new driver and teams going on. Hopefully this will be a season of close competitive competition amongst the various the teams. The 2018 livery pic's you posted are pretty fantastic, that color...Wow! Looks like a couple of buddies and I will be at the Roar before the 24, you should get with Greg and head down! Looks like the next time the Mazda team heads up to Monterey, it'll no longer be at Mazda Raceway. It was a 17 year run and hopefully good for the Mazda brand while it lasted. Racing with Joest will likely not be at a discounted rate compared to the Speedsource venture. 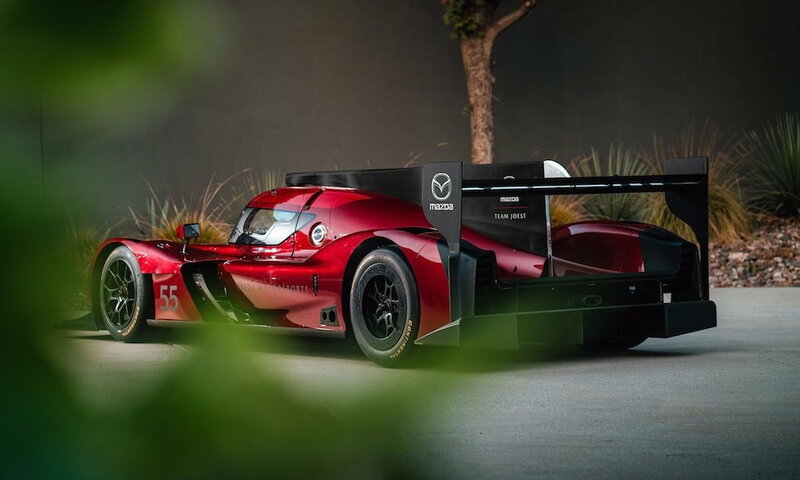 If monies need to be reallocated hopefully some of it (well ok, hopefully all of it) will be used to develop reliable, fast, race winning Mazda prototypes. It was a hell of a run but I'm sure that Joest contract is quite a bit more expensive than the 'ol Speedsource one so they're going to reallocate some of that 'marketing' money into mazda motorsports. speaking of which: thanks for the email yesterday. by the time I was able to get onto the auction site, most of the cool speedsource banners / posters were gone.